Mobile broadband is an amazing technology. 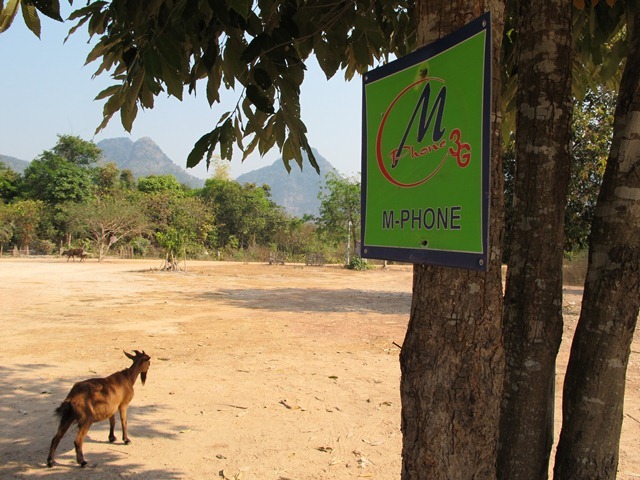 I recently spent a few weeks in Laos, and needed Internet access when roaming around the country. In Vientiane I got a few 3G-enabled prepaid SIMs with the different operators, which together gave me excellent coverage all over the place, including some remote provinces. Bandwidth was excellent, usually with download rates exceeding 1Mbps. It is not uncommon for locals to use 3G as their only Internet connection. Back to Bhutan: 3G is available only with B-Mobile, and only in Thimphu. Even in the capital, download rates are disappointing, and hiccups are common, so you cannot depend on 3G as your sole Internet connection. Many people outside of Thimphu and the bigger towns have no access to broadband Internet. I wonder: Is it time to take mobile broadband seriously? With B-Mobile soon covering all gewogs - an impressive achievement by itself - a solid, reliable 3G infrastructure will enable access to broadband Internet all over the Kingdom. "Bring me 3G before I turn into a goat"